If you ever wondered what you would do if you were alive in the Civil Rights Movement, now is the time to find out. The Big Difference Between 1955 and Today? Twitter. What Would Justice Look Like for the Victims of Police Brutality? Today, in greater numbers, people are talking about real empowerment and liberation for historically disadvantaged groups. When it comes to the Black Lives Matter movement, they’re talking specifically about human dignity for African Americans. And for this movement, journalist, humanitarian, and activist Shaun King, a columnist for The Intercept and the Writer-In-Residence at Harvard Law School’s Fair Punishment Project, is amongst the most compelling voices: a humane and passionate advocate for justice and families, and an extremely visible fundraiser for victims of brutality and discrimination. Sometimes people wonder who they might be, and what role they might play, if they were alive during the Civil Rights Movement of the 60s. Mass marches. Signs reading “I AM A MAN.” Fire hoses, police dogs, and bloody batons. Distant history, but not as removed as we might think: just this past year Shaun King bravely spearheaded the efforts to identify and arrest violent white supremacists who brutally attacked men and women in Charlottesville, Virginia. His dogged efforts single-handedly led to more arrests of Neo-Nazis there than that of the FBI or State Police. Leaders like King help us see how racism is not dead and forgotten, but merely a mutating virus, and one that manifests in different forms in every age. Racism, mass incarceration, policies that criminalize blackness in the twenty-first century—these problems won’t solve themselves. And that’s why King’s voice, perspective, and work are so important. As a magnetic element of the Black Lives Matter movement, King helps us see our present place in the larger current of American history. He’s adopted social media to rally and unite people of disparate backgrounds and has now become one of the most followed activists in the United States. He uses his platform as a journalist, now for Harvard and The Intercept, and formerly as The Senior Justice Writer at the New York Daily News, to unearth the truth beyond local media, and to organize in purposeful and directed ways. Moreover, he reminds us that we can take whatever we do best—whether we lobby, speak, litigate, organize, write, or more—and tilt that practice toward justice. In early 2019, King launched a new digital version of abolitionist writer and speaker Frederick Douglass’ iconic journal, The North Star. King’s new interation will feature content created by progressives seeking to agitate for justice in the spirit of Douglass and the movement he inspired. As a speaker, King offers an articulate and historically grounded take on the most pressing problems of the day. He has now spoken in 35 states, on over 100 college campuses, in jails and prisons, and in corporate boardrooms—always calling for us to be better and do better. As a writer, he has written an astounding 1,500 articles on injustice since 2014 and gives morning commentary on the legendary Tom Joyner Morning Show heard by 6 million listeners in over 100 cities. King might be new to many of us, but he has been on this path his whole life. In 1999, he became the youngest Student Government President elected at Morehouse College since Dr. Martin Luther King was a student there in 1947. Before he was ever known nationally, King was a high school history and civics teacher in Atlanta, then a traveling teacher and counselor at a dozen different jails, prisons, and youth detention centers in Georgia—speaking and teaching 5 times a day, 5 days a week, for years. King started and pastored a church in inner city Atlanta and launched several award-winning social good campaigns that raised millions of dollars for causes around the world. The deadliest hate crime against African Americans in our lifetimes didn’t happen in 1955 or 1965, but in Charleston in 2015. More unarmed African Americans were shot and killed by American police in 2015 than in any year of lynching since 1922. Ten times more African Americans are currently incarcerated today than they were in 1955. Racism has not died, but has shape-shifted in unexpected and unprecedented ways. 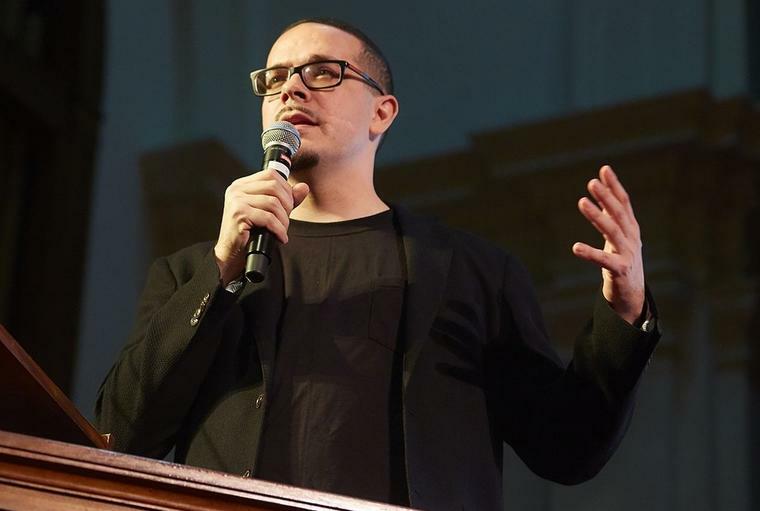 In this free-flowing, information-packed, multi-media presentation, Shaun King illuminates how this generation must come to grips with its own unique challenges. Instead of wondering who we’d be and what we’d do if we were alive in the Civil Rights Movement of the 1960s, King asks us to see our present place in the modern movement for a more fair and just world. Racism, discrimination, and harmful policies won’t get better on their own; for that reason, King proposes real and applicable solutions to the most pressing problems of the day.